Camp Heart Connection, a program of Children's Cancer Connection (CCC) based in Iowa, is a wonderful program supporting families with children diagnosed with cancer. Every summer, children from the age of 5-18 are invited to attend a camp specifically for them; one, Oncology Camp, for the children who are currently fighting cancer, and the other, Sibling Camp, for their siblings who's lives are also turned upside down. Those two weeks are so amazing for the kids because it is the one place where EVERYONE is able to understand their "new normal" of life affected by cancer - they can't get this support from school, sports, or anywhere else. Camp is the place where nobody stares, and everyone cares. 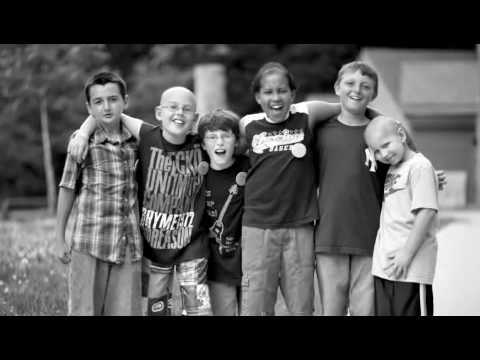 For FIVE summers, I have been privileged to be a camp counselor for fantastic groups of Oncology campers. I love Camp, and all the family that comes with it!! The best thing about Camp Heart Connection is that CCC doesn't ask for any funds from the families to attend; but this places a heavy burden on supporters of CCC to be able to raise money needed to support this wonderful annual event. It costs nearly $400 per camper for a week of camp - so for nearly 200 children who attend just one of the week-long camps, that's a lot of money! And that's where you - my family, friends, and colleagues - can help again! Last year we raised over $5000, so now this year I want to go even higher!! My goal is to raise enough funds to support TWO ENTIRE CABINS at Camp Heart Connection next summer. That's a $7000 goal!! Ambitious, I know, but something I think we can all get behind. So, again this year, in order to make this more fun, I will be growing a beard in September as a part of Childhood Cancer Awareness Month. For 30 days, the beard will grow and grow and get redder and redder (because I'm a Viking, after all). On October 1, the person or group who donates the most money will get to choose which way I will style my beard for the next week. It could be a fu manchu, a goatee, mutton chops, chin-strap, neck beard, or just a plain old mustache - he/she/they get to decide!! Last year, the tiger stripes were the winner - what could it be this year?! ?